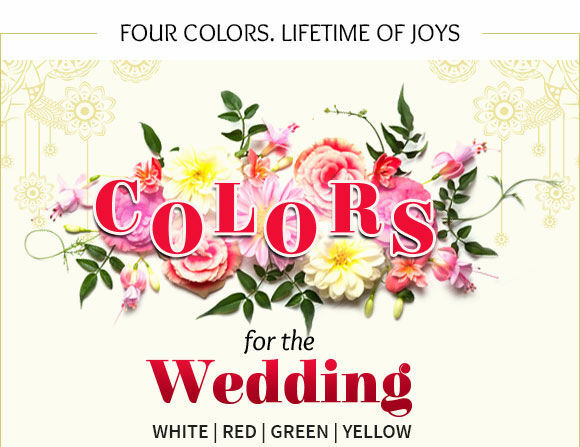 An Indian wedding is full of celebration, joy and colors. 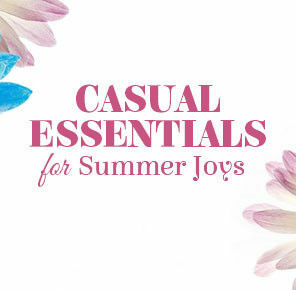 Get your best and most loved ensembles like Sharees, Salvar Suits and Lehangas in trendy colors and hues. 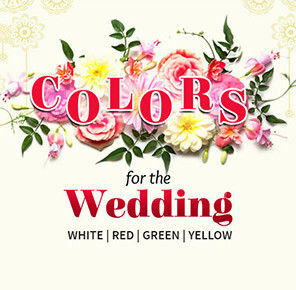 Start your wedding shopping with South Saris in Pure White, explore the auspicious Bengali and Punjabi wedding attires in vibrant Red, check into Green Paithani Silk apparels which is mostly worn in Maharashtra, and the most loved Yellow hue, detailed into Mustard and Ochre for the Haldi ceremonies. 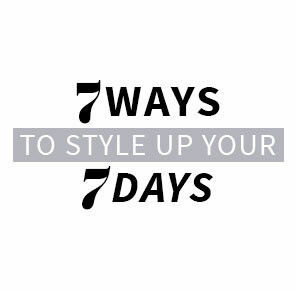 Get your wedding mode on! 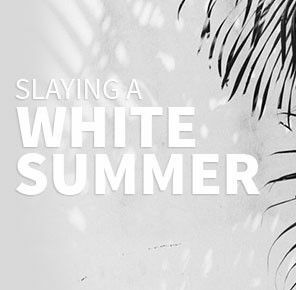 White is such a pure, clean color! 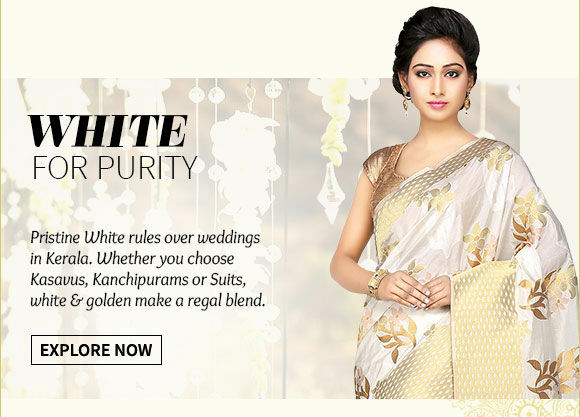 Turn your wedding with South Silk, Kasavu, Kanchipuram Sharees and Suits into a White and Gold marvel. Choose from Sherwani and Dhoti Kurta Sets for Mens and Stone Studded or Pearl Jewelry. Get the feel of Kerala weddings! Bring out the Bengali and Punjabi fashion for Weddings. 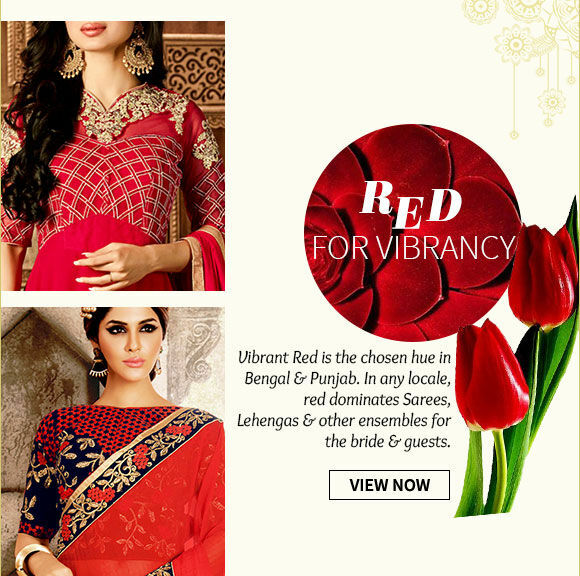 Check out our Red palette ensembles like Banarasi Saris, Zari Lehngas, Silk Shrees, Embroidered Mens and Kids wear. We also give you a variety of Stone Studded jewelry in Red. 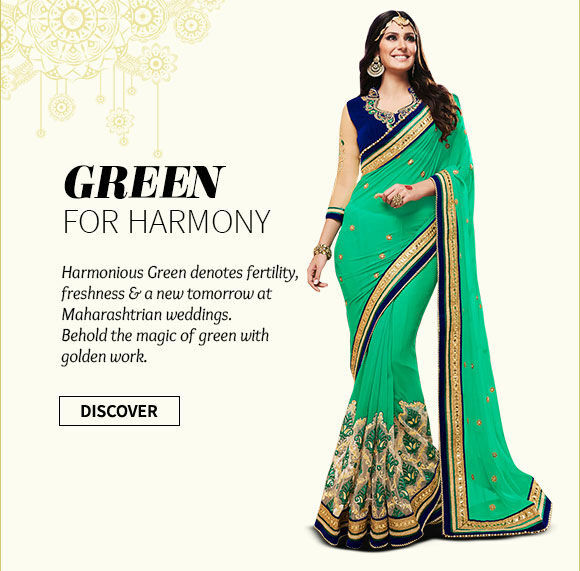 Worn mostly in Maharashtrian Weddings, these Green hued ensembles are something you will love. Get a range of Green colored Pathani Silks, Resham work Suits and more with beautiful golden work. Cant pick the best with a array so wonderful? 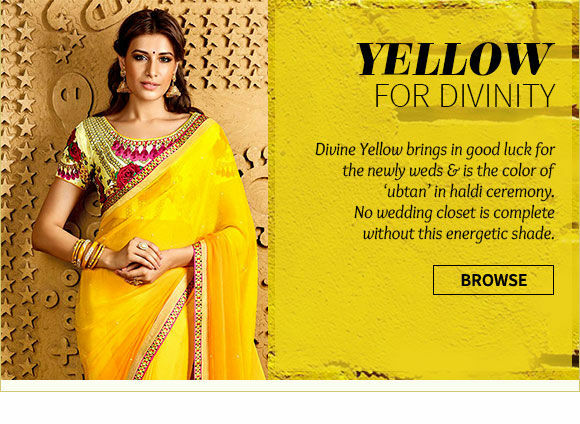 This color brings in luck for the newly-wed couple and is a must-use in Haldi ceremonies. No wedding is complete without the holy Haldi ceremony. Mustard and Ochre hued attires and worn during this celebration. Choose from Lehngas, Stone work Saris, Anaarkalis with Front slits. Get Stone Studded Jewelry and Bangles in Yellow palette.